Driver talking on the phone while driving on the highway. Young man picking up call during a ride on the german autobahn. Another car overtakes him in the background. 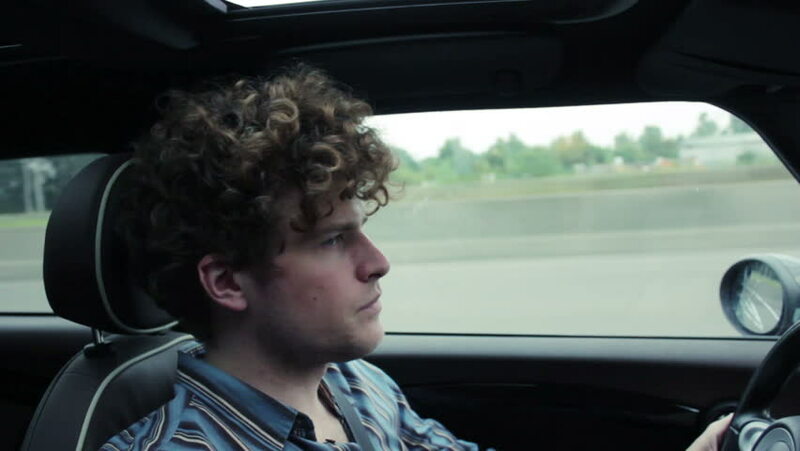 hd00:14Young man driving to the autobahn. Young driver taking a turn to get to the highway/autobahn.